Free Food Can Cost A Fortune. But Its Worth It! The other day Harry thought we should get out and pick some wild Raspberries. This year the bounty was affected by late frost, so you have to get out and pick now. I thought it sounded like a pretty good idea. 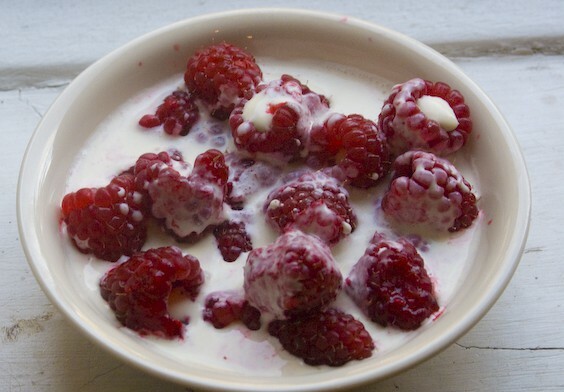 It was a nice warm day we had all our chores done and having a bowl of fresh, wild raspberries for desert couldn’t have sounded better. 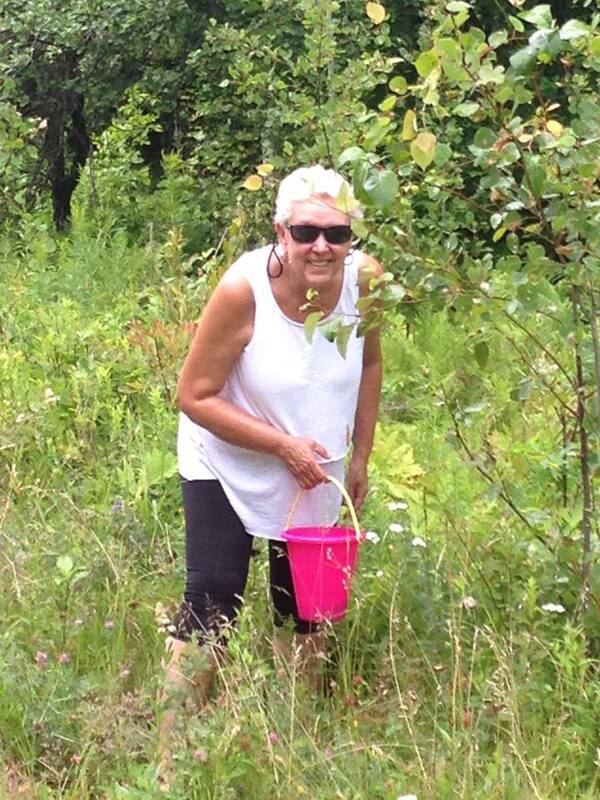 Now you have to know something about picking wild berries. They grow everywhere. 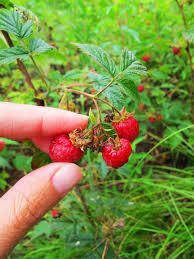 But Harry feels that if you go to a “Special Place” to pick them, you will get better berries. So load the berry buckets into the gas powered 6 cylinder, grab the bug spray and a bottle of nice cold water and off we go. Note: Elfie is smiling. Photo was taken at the beginning of the adventure! We drove for about 10 minutes to get to the “Special Place” so that would be about $3 in gas to get there. One of us still wants to get back home, so consider $6 for gas. We got out of the car and found that apparently someone else also thought this was a “Special Place”. That or the bears have been tramping down the weeds at the roadside to get to the berries. After about half an hour of tramping through thickets, being eaten alive by flies, sweating like a marathoner at the finish line and reducing my life expectancy with the chemical spray, we picked about 2 cups of the berries. Not a bad haul! And so far we only spent $15.95 (including $2 for water )on the free food! Is it becoming hard to believe that we both had careers in which we helped people use their money to their best advantage? In the end we came home with our bounty and that night after dinner we poured some heavenly cream over the little red gems. I had to admit that it was all worth it. When are we going foraging again Harry? Its almost Blueberry season isn’t it? Have you had a foraging adventure? Please share it with us in the comments.